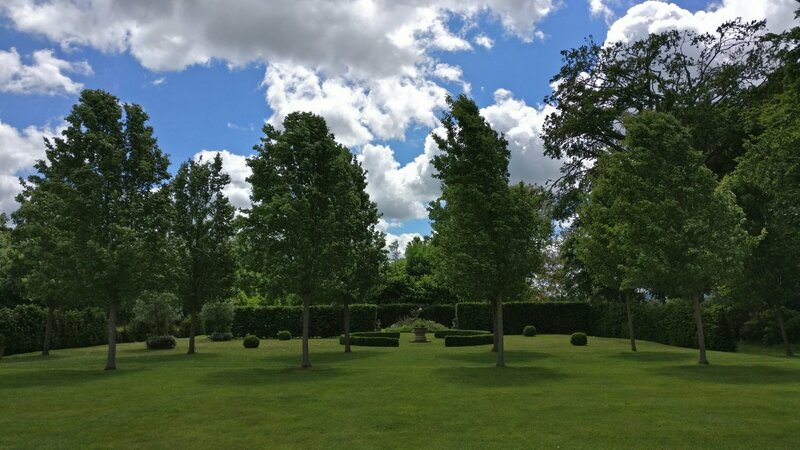 With the forecast for torrential rain and winds of 40mph, the day didn’t sound too promising on the weather front. 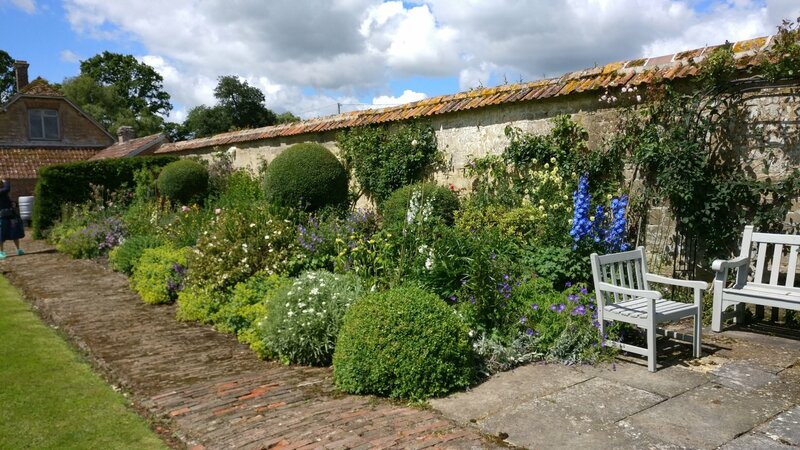 However the gardens drew everyone to meet up for tea, coffee and a wonderful array of cakes and biscuits at The Old School House in Sutton Waldron. 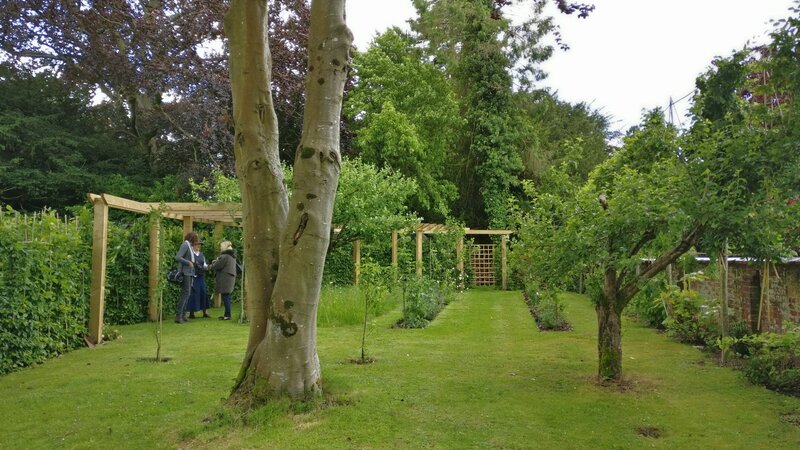 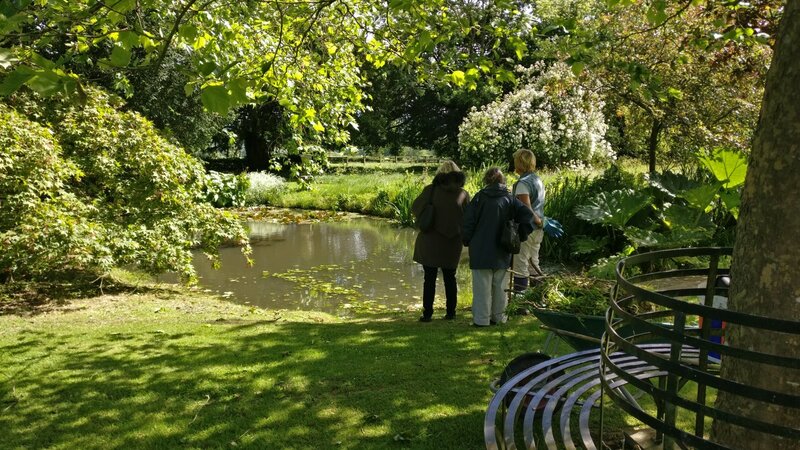 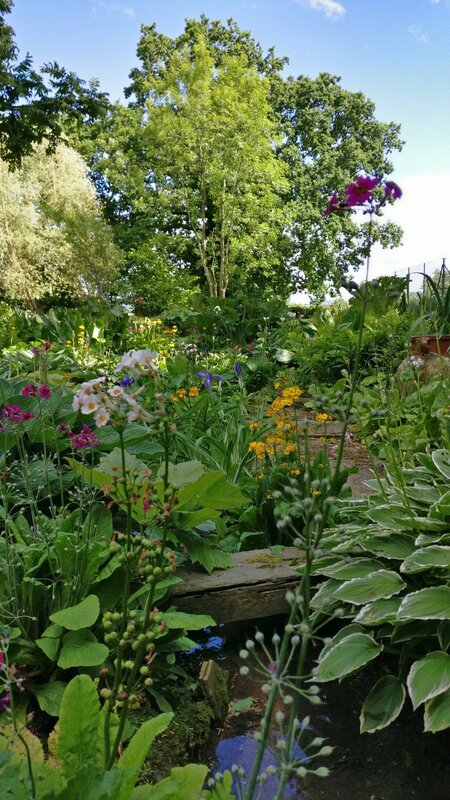 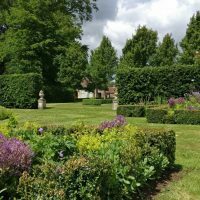 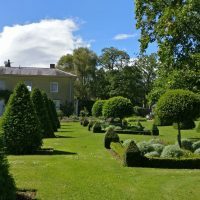 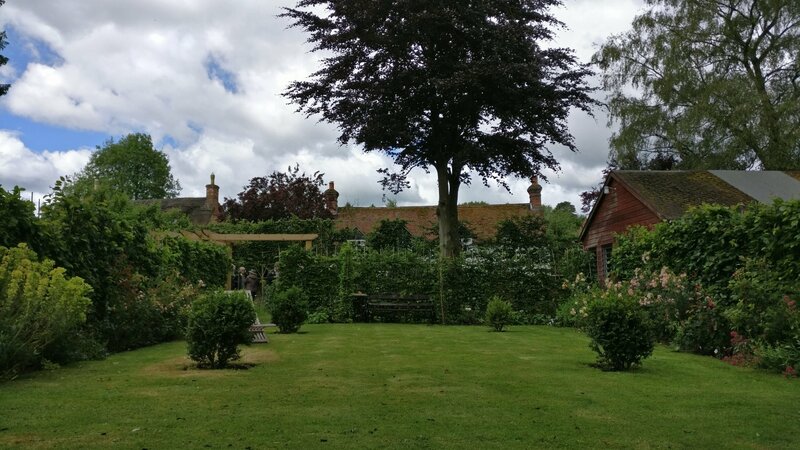 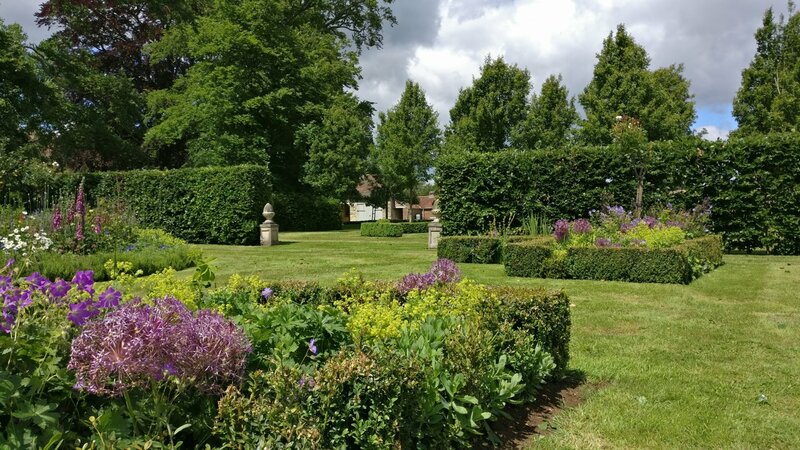 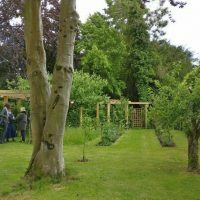 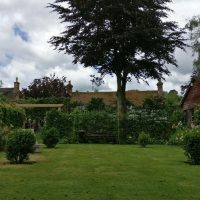 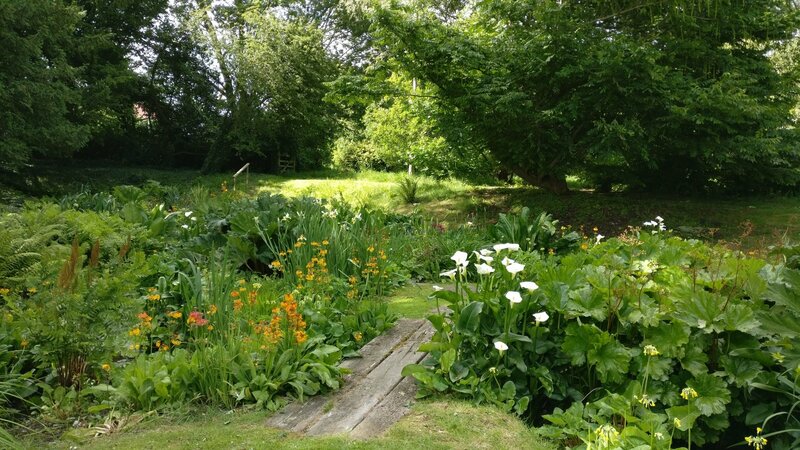 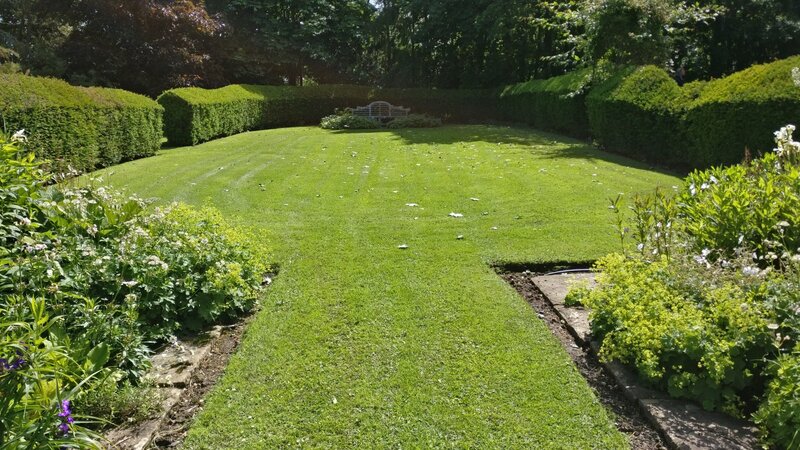 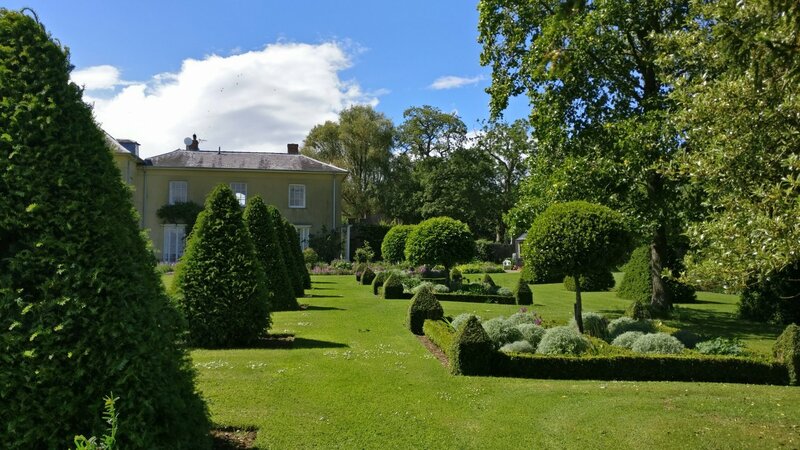 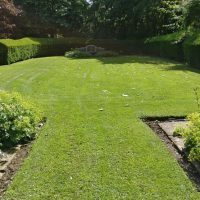 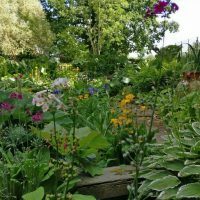 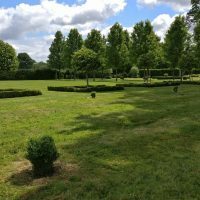 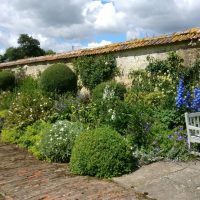 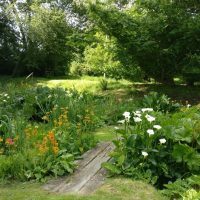 After which EBTS UK members and the organisers of the days event, David & Marian Milanes, showed us the work they have done on the garden since they moved in 4 years ago. 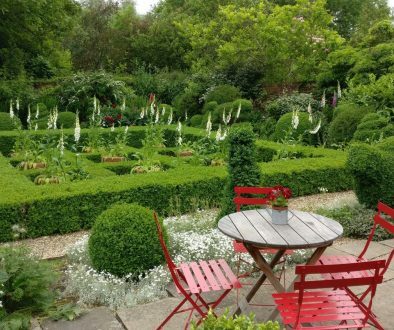 Next we met up with Judith Hussey at her wonderful garden, where she explained the work she has done over the last 12 years on laying out the garden. 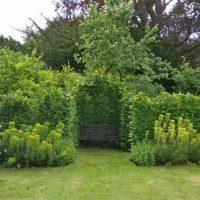 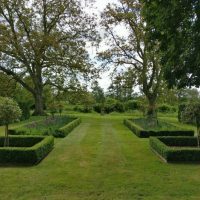 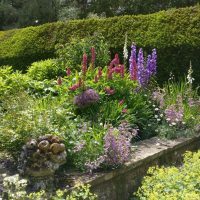 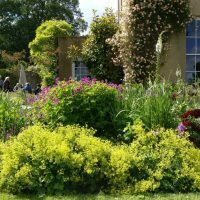 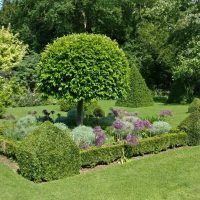 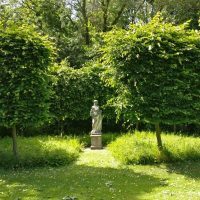 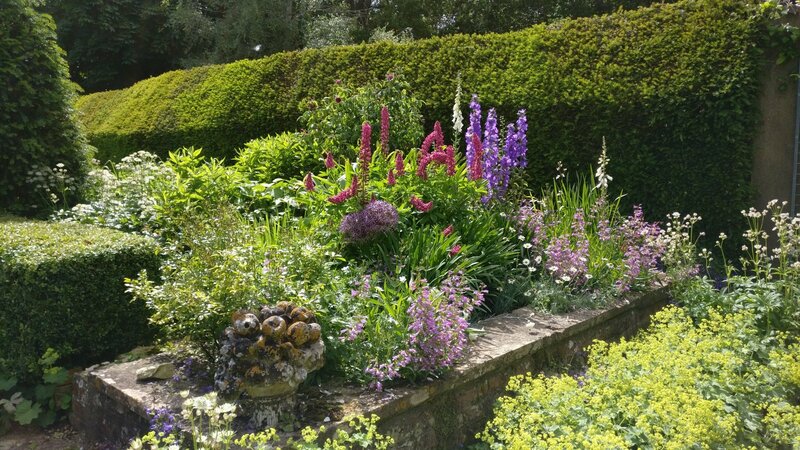 Some of her influences came from Sir Roy Strongs, The Laskett and incorporates a walled garden, golden herbaceous area and a woodland. 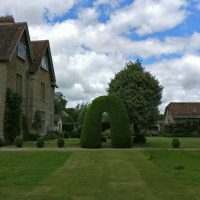 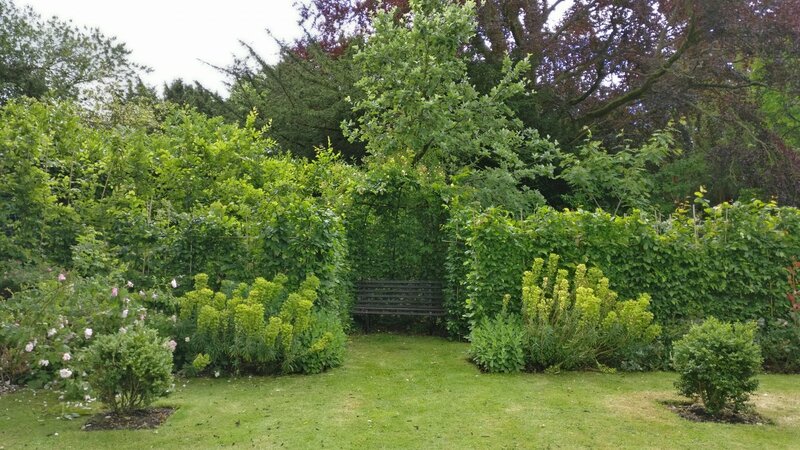 The hedges have suffered from severe box blight and around a 1000 plants were dug up and burnt. 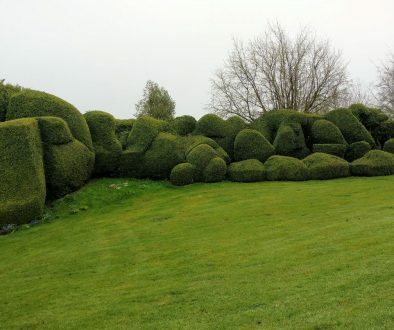 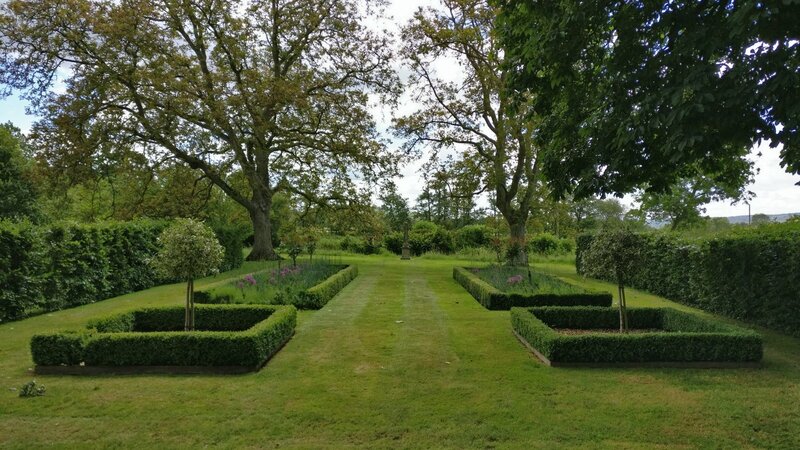 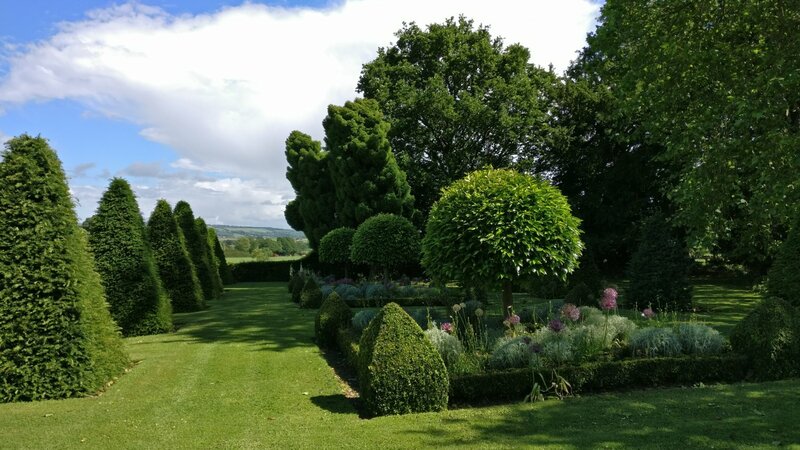 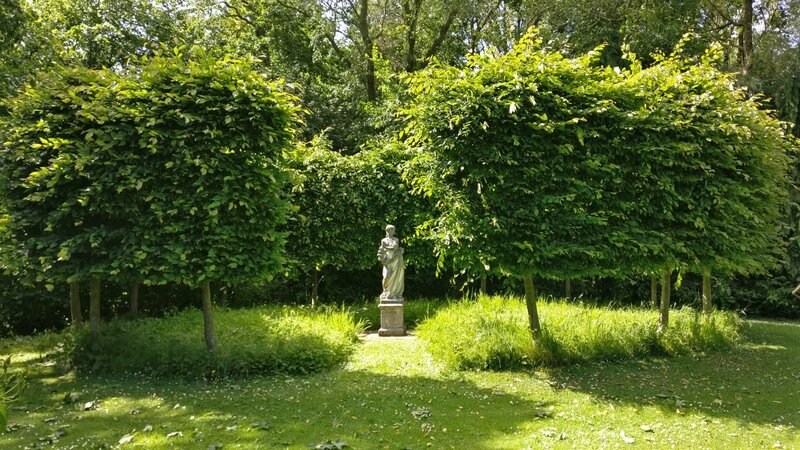 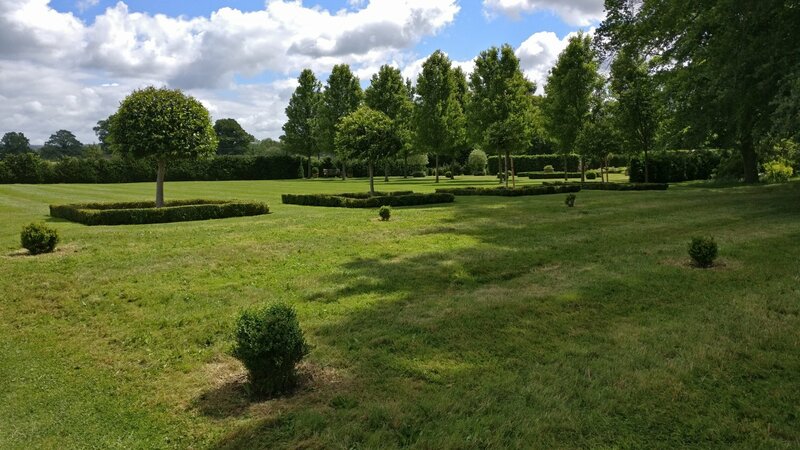 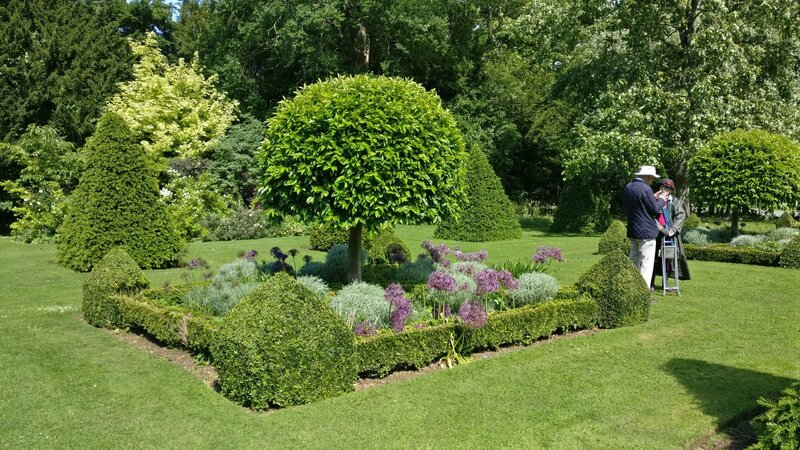 Judith didn’t want to be defeated and end up without box, so she has replanted and is using Topbuxus Health Mix. 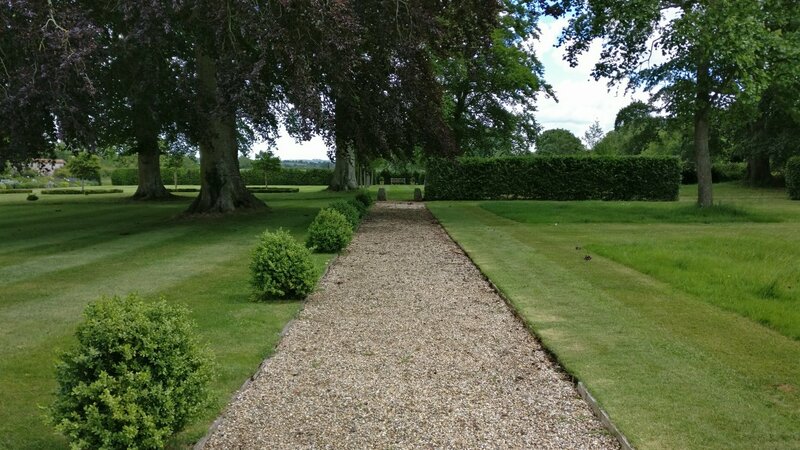 This is controlling the problem and she says it is definitely worth the extra 2 days effort each time the hedges need spraying. 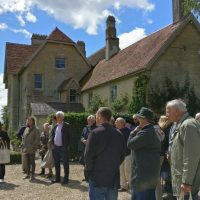 After a tasty lunch at The Ibberton at Blandford, it was onto Pulham and the second Old Rectory of the day. 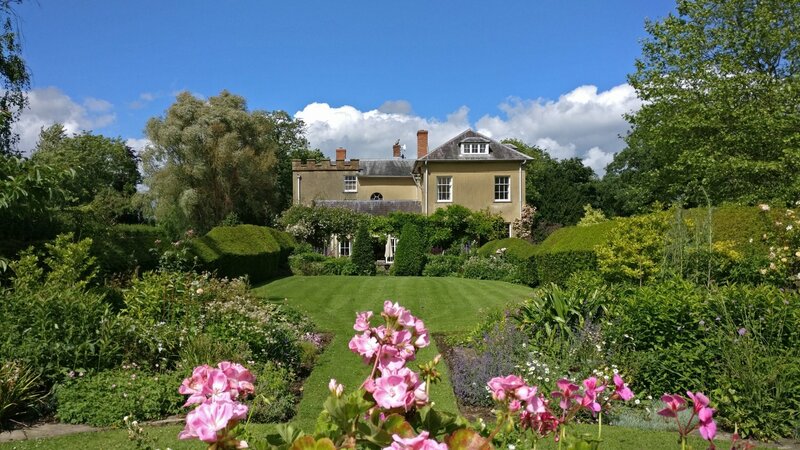 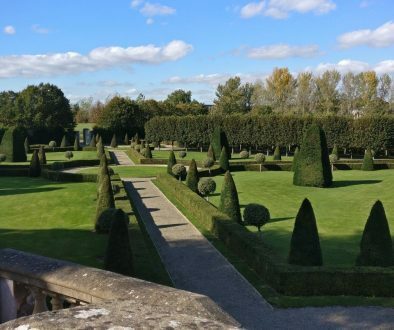 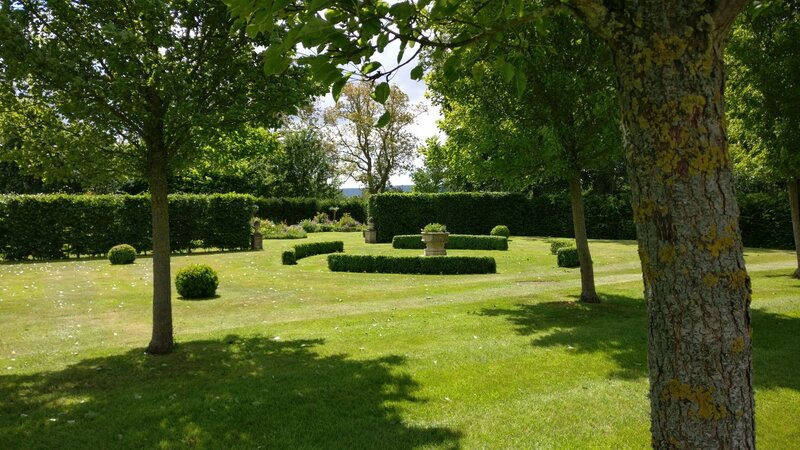 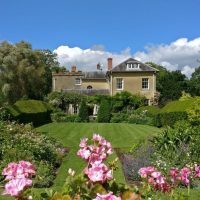 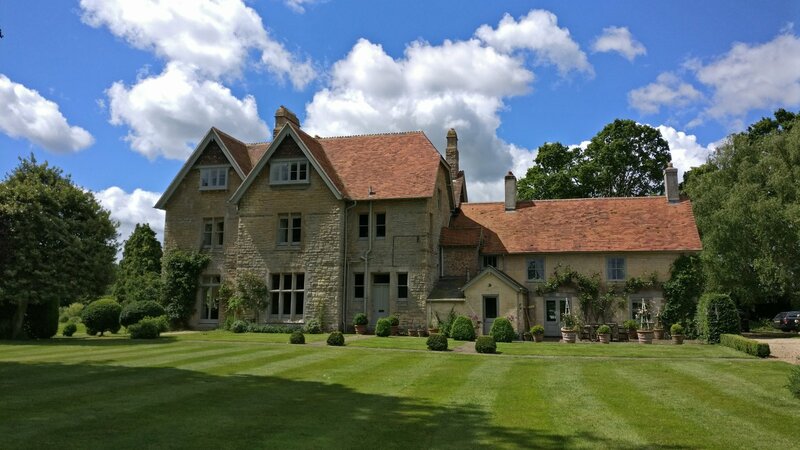 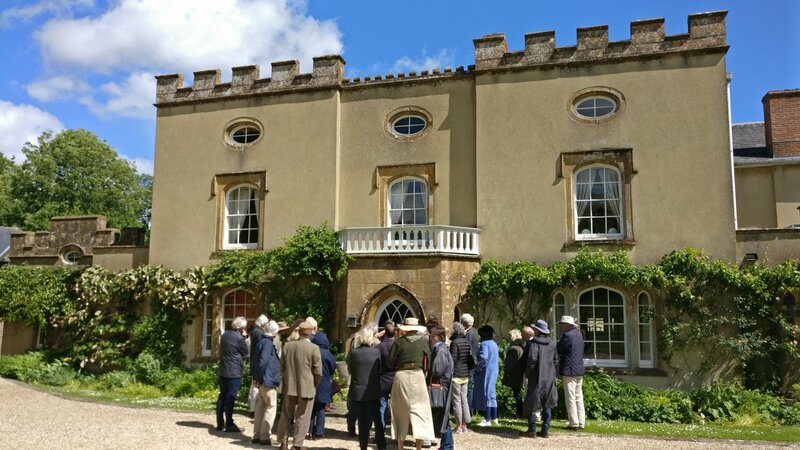 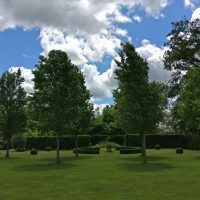 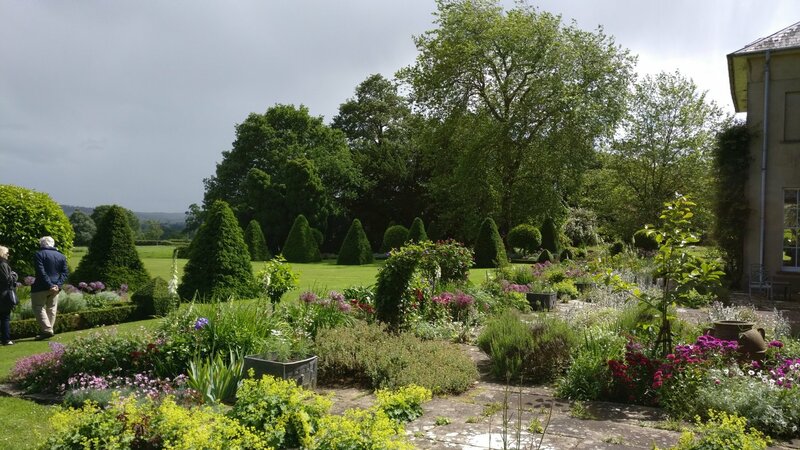 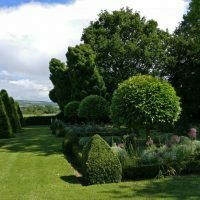 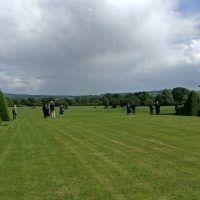 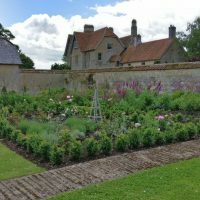 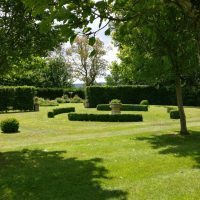 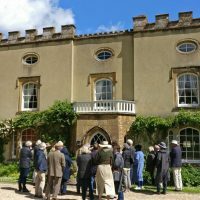 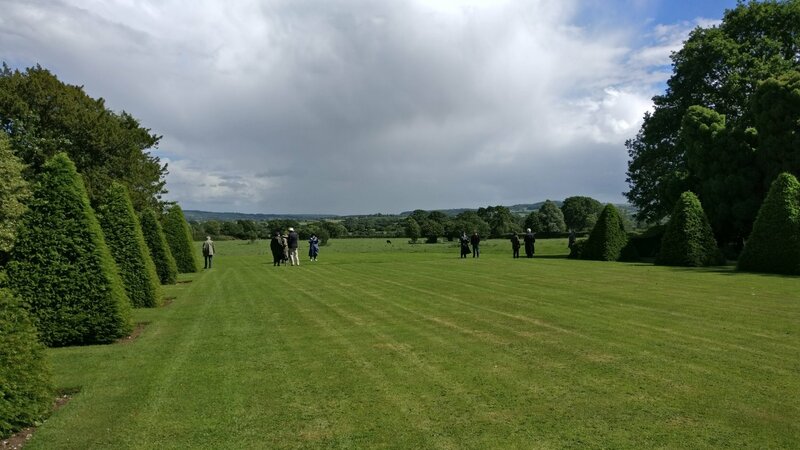 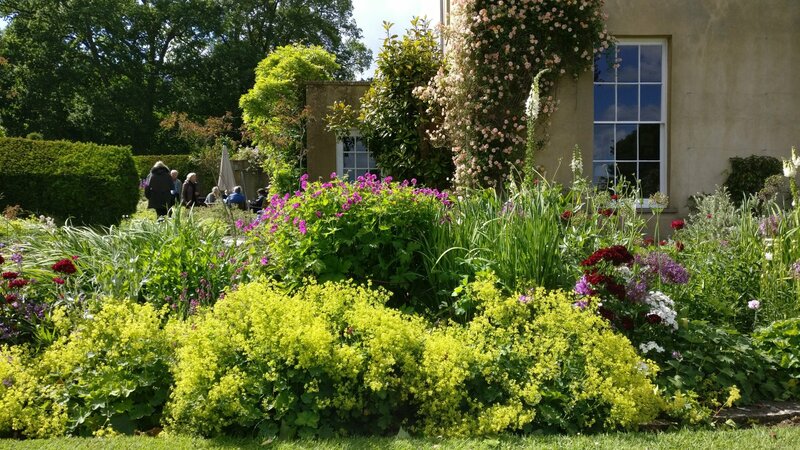 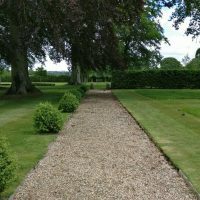 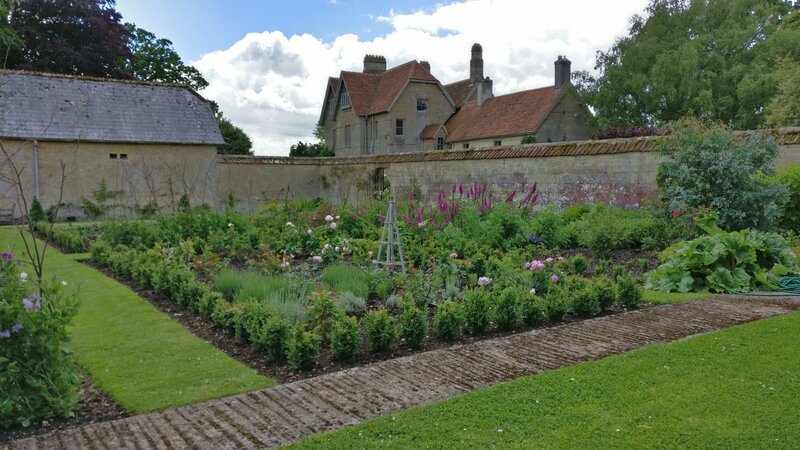 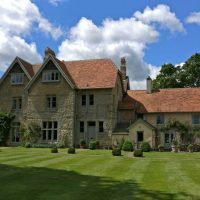 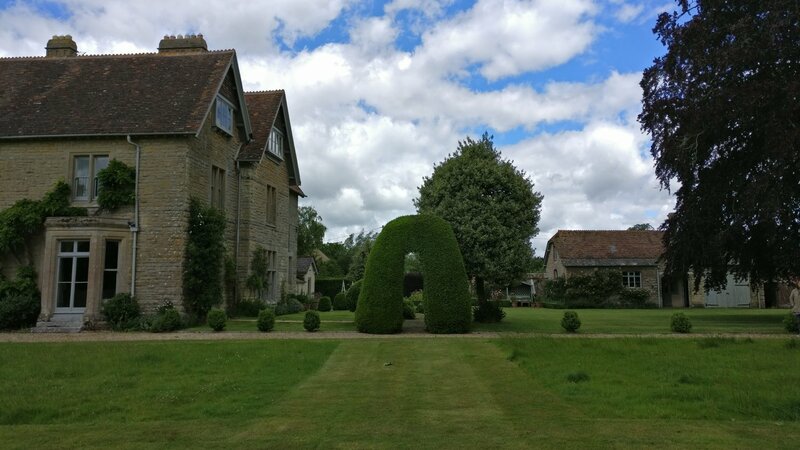 Owner Gilly Elliot gave short talk about the history of the house and garden before we had the opportunity to wander round the 4 acres of gardens, which are beautifully laid out with views across rolling fields to the Dorset hills. 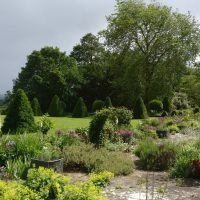 In addition to a great selection of box and yew there was a very colourful bog garden and woodland area. 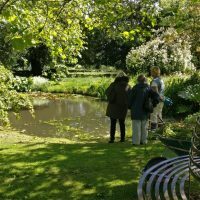 The day was rounded off the way it had started with another delightful array of cakes and some tea. 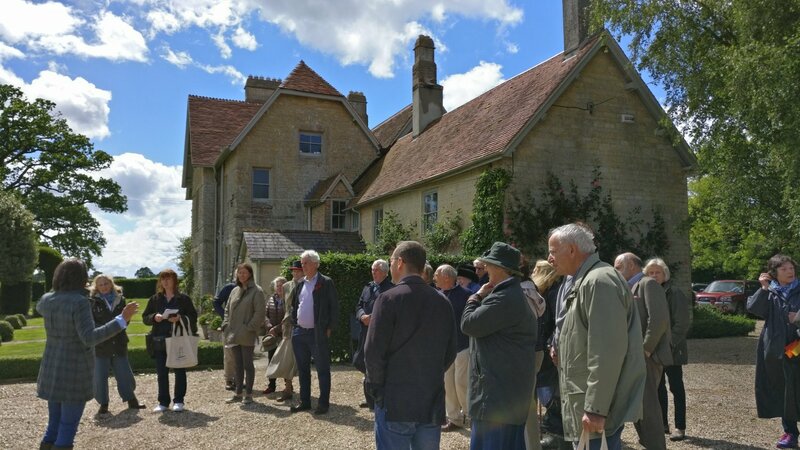 Amazingly, given the weather forecast, we had almost no rain and lots of blues between the fast moving clouds – another wonderful EBTS UK visit.